It's pronounced Mitch, like the dude the Hasslehoff played in the original Bay Watch. I think it's cool. Anyway, Let's rewind back to my pre-PIH days, when my skin was near perfect. All I did was wash my face, and maybe slather on some night cream, if I remembered. Those days, I lived in a huge city, where smog and dust exist in every corner. In my mid-20s, I moved to an island. Huge change for me and my skin. The Dryness and Acne monster finally found me there, and decided to stay. Nothing I used worked for my skin. I even used Benzoyl Peroxide, which worked, but eventually sucked out the moisture I had left in my skin. Feeling bruised and abused, I wanted to give up. Yup! I was in the local Asian store (by this time I had moved to the east coast), when I saw a woman looking at what looked like really large shiny sachets of herbs, which were actually sheet masks. I stared at the little collection of merchandise and thought, "Why have I not tried these? Wait, what ARE these?" Bought two that had word “anti-trouble” in the front, went home, followed the English instructions and called it a day. You should have seen the look on my face the next day, as I stared at the mirror, like “What the hell? WHO the hell?”. After that, I was hooked. Since then, I've been trying to be consistent with the skincare world, trying new products. Long story short? I'm always walking around the house with a sheet mask, or some kind of skincare gunk, on my face, which eventually made the Mister call me the Sheet Mask Lady (I like scaring him when I have my masks on. Mwahaha!). He knows the difference between a wash off mask and a sheet mask now, but he still calls me the sheet mask lady. When I told him that I wanted to start a blog, he suggested I call it 'The Sheet Mask Lady'. He and I spent the next night setting up. So, there you go. Hello, blog. I do love my Sheet Masks. love sharing my thoughts and experiences with others. I love hearing feedback about products other people have used, and sharing them with others. I love reading about ingredients, and what makes them work, and why it doesn't work. I love learning about skin, the different types, and the care each skin type needs. I love skincare, particularly sheet masks, and this blog will include not only sheet masks, but all kinds of skincare products, particularly the Asian kind. In the US, Asian skincare and makeup has become popular in the recent years. So, the ever growing knowledge of skincare, and products, in the Asian world is finally easily accessable. I want to learn, and try it all (if that's even possible). This blog will contain and will be edited by me, and will contain many Asian skin care products, and oodles of sheet masks. Maybe I'll throw in a subscription unboxing here and there, a few out of the box products, or events. Who knows? Let's have go with the eflow and have fun! So, if you have any suggestions as to which skincare, or body and hair, adventure I should take next, send me an email. My email is on the bottom right of the page. 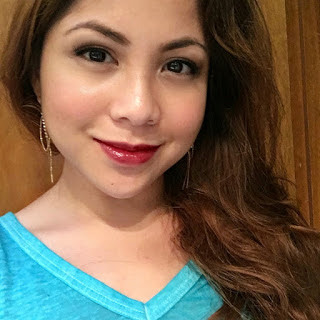 YMMV -- I use and review products for skincare, not just sheet masks. Some products may or may work for me, but you could have a totally different experience with it. My skin type used to be Oily, and then combination. For the past year, since I've moved to a far less colder part of 'Murica, I've noticed that it's just dry, my U-zone, and drier because of dehydration on my T-zone. The sun where I live is relentless, even when on cloudy days. Oh, the changes age and location can do to your skin.